Discussion in 'Forum Games' started by Ainn, Apr 8, 2018. Yeah, but it'll be delayed for 2 years in development. If it does, I bet EA Games will put microtransactions in the cutscenes. 1. 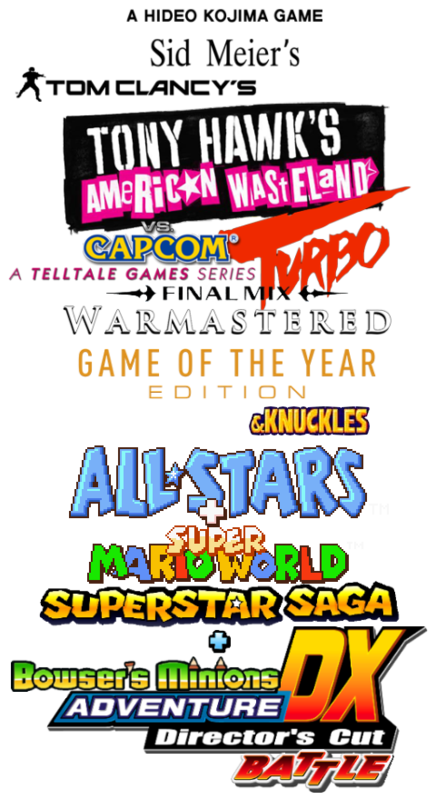 It's your job to add titles to this amazing videogame crossover!!!!!!!!!! 2. No one can post the same exact title twice. If it's already there, you lose. 3. You can use the same franchise as long as the exact titles are not identical. 4. You cannot simply write "2" or "3" to add a crossover title. I wanted to add more but it's almost 3 AM.